Long Beach, CA, July 26th 2018 – Ship & Shore Environmental Inc., a leading U.S. pollution abatement firm, that specializes in the capture and control of Volatile Organic Compounds (VOCs) and air pollution, announced today that it has successfully entered the Groundwater and Soil Treatment Sector. With the strategic addition of key industry players, the company has expanded its team, its capabilities, and its product scope to enter this market. “At the beginning of the year, Ship & Shore launched a sector diversification strategy allowing us to enter new markets, expand our technology, and further enhance our core industries. One of our main targets focused on projects dealing with Soil Vapor Extraction (SVE) and remediation systems. We are proud to announce that our efforts have successfully resulted in the winning of new projects in this industry,” said Anoosheh Oskouian, CEO of Ship & Shore Environmental. Ship & Shore has already established its presence in the flexographic, plastics, fastener coating, and other industries. Today, the company expands its technology to help treat chlorinated hydrocarbon compounds and emerging contaminants of concern (COCs) typically generated from oil and gas manufacturing facilities. The environmental company’s newest remediation project involves providing a complete VOC Abatement system to a local manufacturing company in California. 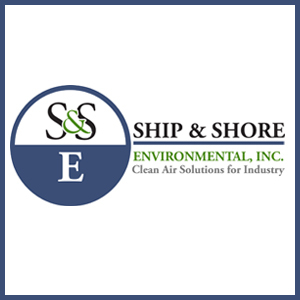 Ship & Shore will be installing a 1,500 SCFM Regenerative Thermal Oxidizer (RTO) along with an Acid Scrubber and a Soil Vapor Extraction (SVE) system, all engineered to treat emissions and remove halogens from the process. Through combustion, the RTO is designed to convert the solvent-laden air stream to carbon dioxide, HCl, Cl2 vapor, and water vapor, where most of the waste heat generated from the thermal oxidation process will be recovered by a heat exchanger. The resulting products will then be re-directed to a scrubber system in order to remove acidic vapors and then discharged into the SVE system for wastewater treatment. Soil Vapor Extraction (SVE) is a technique designed to remove volatile contaminants from the subsurface and can be combined with thermal oxidizers and other pollution abatement technology in order to efficiently and effectively treat applications. Ship & Shore also offers groundwater treatment equipment such as air strippers, oil water separators, and Multi-Phase Extraction (MPE) systems in order to further treat or remove contaminants from application waste streams. These Ship & Shore technologies can essentially remove over 99% of the contaminants. “We noticed a tremendous need for groundwater and soil treatment technologies and turned it into an opportunity for growth and innovation. We feel our expert engineers and technical team are well prepared to assist customers that need our assistance,” said Anu Vij, Chief Operating Officer of Ship & Shore Environmental. 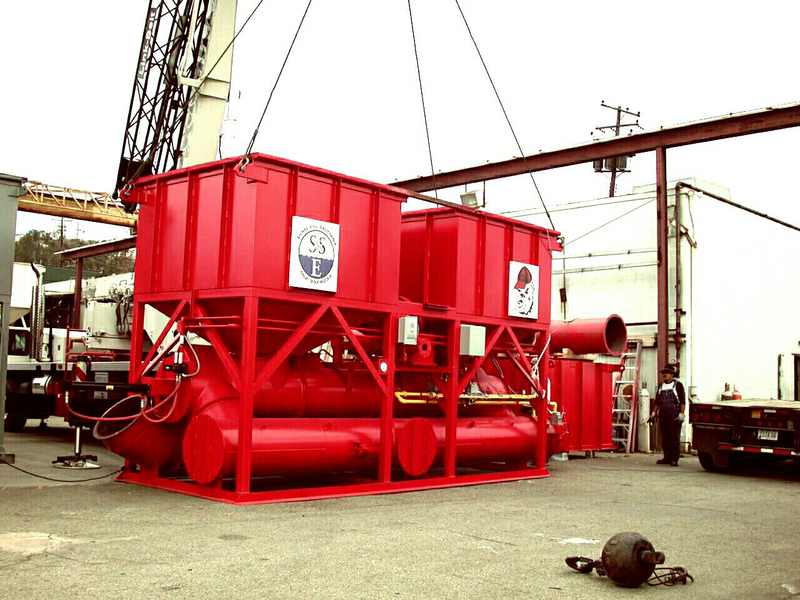 For more information about Ship & Shore remediation solutions, plant optimization capabilities, and waste heat recovery options, consult our website at www.shipandshore.com.